An extension of the proven Datacard® SD Series, the affordable and efficient Datacard® SD160TM card printer offers the right combination of technologies to meet a wide range of application requirements. Direct-to-card (DTC) printing technologies provide the versatility to reliably produce attractive cards with high quality, full-color or single-color photos, graphics and text. 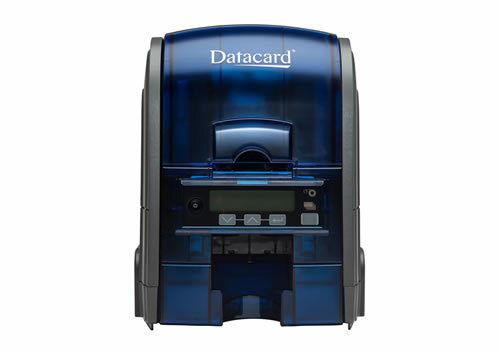 Featuring rewritable printing, inline magnetic stripe encoding, a unique ultraviolet (UV) printing security feature and intuitive operation, the SD160 card printer provides security and simplicity while protecting your bottom line.